Mariela Herrera will bring energetic bilingual music and storytelling to the library in April to celebrate El día de los niños/El día de los libros. 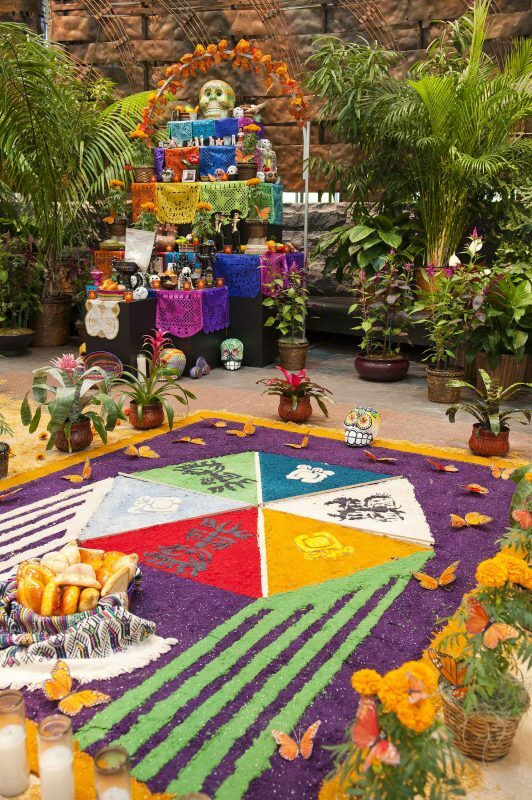 Learn about the art of repujado with artist Rachel-Anne Palacios! Repujado is the Spanish craft of pushing metal to give it an embossed look. March is Maker Month, a time for all of us to explore our creativity, our curiosity, and take joy in our capacity for innovation. The Oakland Public Library has many events and workshops for kids this month to celebrate! A highlight of Maker Month is our first Family STEAM Night! The Main Library Children's Room has been awarded a Friends of the Library (FOPL) grant to fund special, hands-on STEAM (Science, Technology, Engineering, Art, Math) workshops for kids 8-12 and their adult caregivers, with dinner included! RSVP is required, as space is limited. Call 510-238-3615 to sign up your kids for this community and team-building event! What else is happening this month? Check out the list below and join the fun! 3/2/19, 2:00pm, Dimond Branch: Virtual Reality Demonstration -- Experience Virtual Reality (VR) during this special visit from NewPathVR, a local company that educates communities about the benefits of VR for emotional wellness. Ages 8+. 3/5/19, 3:30pm, MLK Branch: 3D Printing - learn how a 3D printer works! Call (510) 615-5728 for more information. 3/6/19, 3:00pm, Children's Room, Main Library: Shrinky Dinks - Create your own designs and watch them shrink in a toaster oven. 3/9/19, 3:30pm, Dimond Branch: Scientific Adventures - Create, discover, design, build, and have fun with your friends and family! Scientific Adventures presents a new STEAM project each month, inspired by favorite children's books and designed to test your creative, collaborative mind. 3/12/19, 3:30pm, MLK Branch: 3D Printing - learn how a 3D printer works! Call (510) 615-5728 for more information. 3/14/19, 3:00pm, Children's Room, Main Library: LEGO Mania - Play and build with a mountain of LEGO bricks. 3/21/19, 3:00pm, Children's Room, Main Library: Marble Run - We'll make a giant marble obstacle course together! 3/26/19, 3:30pm, MLK Branch: Make an LED Minecraft Torchlight. Call (510) 615-5728 for more information. 3/27/19, 6:00pm, Children's Room, Main Library: Family STEAM Night - Play-Well Teknologies will lead a special LEGO project for kids ages 8-12 and their adult caregivers. Dinner provided. RSVP is required. 3/29/19, 3:00pm, Children's Room, Main Library: Blue Blocks Imagination Playground - Build huge structures with giant blue blocks. For those of you who like to focus on historical events rather than people, I invite you to revisit a February favorite- this awesome blog post by Nichole from Eastmont : Black History Homework Re-Imagined! This month at OPL you can enjoy African drumming with Tacuma King. Play Café is what we call our storytime and playgroup for toddlers (ages 1-3) and their adult caregivers. It's like Toddler Time, but longer and with bonus coffee! Whether you're a relative, nanny, or friendly neighbor lending a hand, you are welcome to bring the child in your care to play! Perhaps you will meet some new friends to invite to a playdate! There are several Play Café sessions around Oakland, with different songs and stories at each one. You can find one that works best for you, try a new one each week, or visit several in the same week if you like. 10:15-10:30 Doors are open! Gather in the children's room after stopping by the desk for a nametag for your child. Get yourself a cup of coffee or tea and say hello to the other grownups while the kids play with trucks, dolls, blocks, and their new buddies. You might see "parallel play", where kids don't interact very much while they do their own thing -- that's normal for toddlers. 10:30 Time to put away the toys for a little... they'll be back later! The children's librarian leads everyone in songs and rhymes with hand motions, in English and in Spanish. We read some short books picked especially for toddlers. We might pass out scarves or musical instruments to shake. Even if your child wanders a little and doesn't seem to be paying attention, they're benefiting by being in the room with you and the storytime. Babies learn SO much in their first years: just by being in earshot, your little one is being exposed to rhythm, melody, and enthusiasm about reading. They may surprise you at home by dancing to a song they first heard in storytime. You can read the same books at home, or try singing at bathtime or in the car. 11:00 Snacktime! We provide a light snack for kids and grownups, too. Try some berries with yogurt and granola, a black bean taco bowl, or cheesy fish-shaped crackers with applesauce. You're welcome to bring food from home if your child prefers it, and eat together while we catch up. Another cup of coffee? 11:15-12:00 Let kids play some more -- outside if the weather's nice -- and burn off excess energy. Curl up over a board book and let baby turn the pages. This is also a great time to check out some books to take home. Feel free to browse the shelves or ask the librarian what would be just right. When it's naptime, lunchtime, or time to head to the store before you pick up your big kid from school, leave your nametag at the desk and head out. We'll see you next time! While Halloween is celebrated October 31, Día de los Muertos is celebrated right after, on November 2. Many communities that celebrate Día de los Muertos also celebrate Halloween. To view pictures of the Mam Cultural Festival, click here. All photos courtesy of volunteer photographer Khai Pham. As a high-schooler, Henry Sales frequented the César E. Chávez Branch Library in Fruitvale; it was a perfect place to finish school work and hang out until it was time to head home. However, he found it difficult to communicate with his fellow library goers - many of whom were fluent Spanish speakers. Henry’s native language is Mam, the second-most popular language of the 21 Mayan languages currently spoken in Guatemala and Southern Mexico. For the last 15 years, thousands of indigenous Mayan immigrants have settled in Oakland and the East Bay, including Henry. So, Henry decided to get involved. Upon graduation, he volunteered as a tutor at the Chávez Branch before joining Oakland Public Library’s Ready, Set, Connect! - a professional development program designed to help Oakland youth discover the professional skills necessary for technology focused careers. Eventually, he became a library aide at the Chávez Branch, where he immediately became the go-to person to help communicate with Mam patrons. Non-profit organizations and government agencies asked Henry to be a language consultant to cater to the needs of Mam clients. Photo: Henry Sales (left) speaks with a patron. It became obvious to Henry that the Mam community was growing. He was being asked more and more questions about his heritage - the language, the dress, the history. In addition, he encountered Mam families directly affected by changing immigration laws, limited access to healthcare and education, and an expensive housing market. Sales organized the Mam Cultural Exchange - a group of Mam community members that help out fellow Mam and share the Mam culture to the wider public. And, with the help of two grants - Cal Humanities’ Library Innovation Lab and the Akonadi Foundation’s Beloved Community Fund - he organized the Mam Cultural Festival at the Chávez Branch. So on Saturday, September 15, nearly 300 attendees joined Henry in a celebration of the Mam culture. Photo: Two dancers in traditional Mam dress dance in front of the marimba. Traditional Mayan music resounded throughout the afternoon as three musicians played the Marimba - an instrument resembling a large xylophone - with men and women displaying traditional dance in the center of the courtyard. Mam women served hungry patrons chuchitos with corn and beans, a typical Mam meal, and displayed traditional weaving techniques while making blankets and clothes. In one corner, patrons were invited to learn basic phrases and words in the Mam language. All in all, Henry was grateful for the opportunity to display his culture to people who might not have even heard of the Mam. Henry hopes for the opportunity to showcase his culture to other areas where a Mam community exists. Photo: A woman in traditional dress displays a Mam weaving technique. There will be no stoytime at this stop, but there will be a free gift! All ages welcome to find out about the Clipper Card. Oakland Public Library is always full of fun things to do during the summer, with performers, crafts, science, dance, martial arts and free lunches for youth at many branches, and of course, Kids' Summer Reading. Babies and toddlers can do summer reading too, and this year we've created a special Pre-Reader card for parents and caregivers to do with them. Talking, Reading, Singing, Writing, and Playing, are all activities that support the youngest children to be ready to read and learn. Caregivers and their children 0-4 can count every day they do a pre-literacy activity, and after 20 days, pick up their prize at the library: a book, special coupons, and a chance to win a raffle for a family membership to Fairyland. To encourage these activities, the pre-reader card is available only in paper. Stop by any of out 17 locations to pick one up along with stickers or a crayon for decorating the card together. Challenge Extended: 1000 Books Before Kindergarten! Shhh. Listen. Did you hear that? Yes, it was the sound of librarians everywhere shouting hooray while reading about Daliyah Marie Arana. 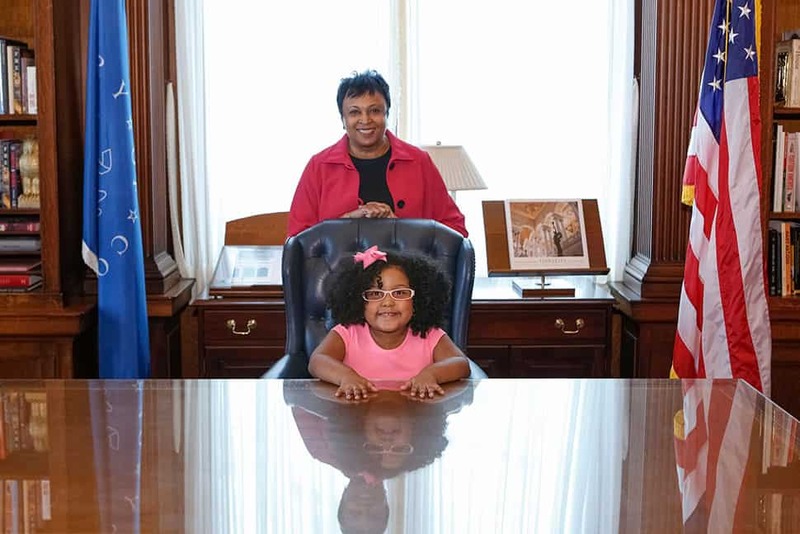 This amazing young book worm visited the Library of Congress, met with the newest Librarian of Congress Carla Hayden and was Guest Librarian for the day, a most prestigious title, especially when bestowed upon an impeccably dressed 4 year old! Daliyah's special afternoon was in celebration of a big reading accomplishment that her family celebrated with their local public library. When Daliyah was 3, her mom enrolled her in her public library's 1000 Books Before Kindergarten program in Georgia. This program encourages families to read 1000 books before the first day of kindergarten and when her family completed this most impressive feat, her mother contacted the Library of Congress to share the sweet accomplishment and request a tour for her young reader. Cue the collective sighs of joy. Now, I know that 1000 books seems like a lot but think about it, how many times have you read that one book? You know the one. That one with the bunny, or the truck or...heaven forbid, Caillou? You probably read that book 10 times just yesterday! When we run the hypothetical numbers, if a parent read just one book, one time each day to their child every day since the day they were born until the day they turned five, that would be 365 books for 5 years, 1825 books! This means we all get wiggle room for busy days, or busy years. Even if your baby was colicky and you just walked around the house rocking her for the first three months and didn't get a chance to pick up Moo Baa La La for a while, you have probably already read a TON of books together. Or maybe when your daughter was 2, she decided that sitting was just the worst thing ever so your bedtime snuggle with a book became a wrestling match with a toothbrush, it's okay, because I can bet on bowl of mush that you have read, Goodnight Moon about a million times. Or maybe it was a Pigeon book or maybe one of those floppy paperbacks that has way too many words but your daughter is so smart that she knows exactly what Thomas just said so you can't skip even one line. Sigh. Where was I? Oh yes,1000 books. So while librarians everywhere loved and widely shared the heartwarming story of the youngest librarian in our ranks, Ms. Daliyah, we know you can to it too. Oakland Public Library hereby extends the challenge to you and your family today. We may not be able to offer personal tours of the Library of Congress, but our online badges are colorful and our high-fives plentiful! Oakland Public Library has teamed up with Beanstack to help you reach some amazing reading goals! Just click here and follow the steps. You can create a reading profile for each child in your family and keep everything together in one place. Choose the "1000 books before Kindergarten Reading Program" when registering and you're done! You can also choose to get one email a week with a personalized book recommendation, a link to the library catalog and reading tips based on your child's profile. Does it really count if I read the same book 5 or more times? Yep! Repeated reading of the same book is extremely beneficial for pre-readers. It helps develop vocabulary, memory, positive connections with literature, self-confidence and more! My kiddo is 3, is it too late to join? No way! Even if your child starts kinder next year, you can still join! You can even go in a enter all of your favorites from back in the day and move on from there. What if we don't make it to 1000 by the time kindergarten starts? Did we fail? What do we do when it is done? Keep reading of course! The Beanstack software can come in very handy for those homework reading logs too!